Employee verification is the need of the hour. An employee is an important part of the organization. You share all the details of bank account and also many other confidential details with him. You certainly cannot risk him being a criminal. DNA Forensics Lab Pvt. Ltd provides Employee Verification by Forensic Experts. DNA Forensics Laboratory Pvt. Ltd. does this important task on your behalf. The employee should not be from a disputed background. 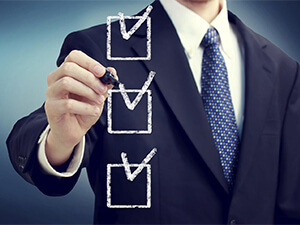 Employee verification is a must to run an organization whether small or big. DNA Forensics Laboratory Pvt. Ltd. dulls the human capital risk through a thorough check. We have helped organizations to eliminate the negative elements, which had criminal records, fake certificated and morphed degrees. We make organizations a safer and better place by eliminating these anti social elements. Despite of taking care while hiring, we might not be able to identify a fake degree or a photograph. DNA Forensics Laboratory Pvt. Ltd. has a team of experts that can detect even a minor alteration in documents, which is not visible to the naked eye. Certain companies avoid employee verification and think that it is just an additional cost but it is cheaper than the cost they bear if they hire a wrong candidate. Not only can he take advantage of his presence in the organization but you also have to bear the replacement cost afterwards. By getting verification done through a reliable company you can prevent frauds and crimes. Why do companies get employee verification done? Verification of educational documents along with other documents. To check forgery in age documents. DNA Forensics Laboratory Pvt. Ltd. respects the employee’s privacy. We usually do not approach the current employer for verification. We check the document thoroughly and other proofs of residence and employment. Our results are fast and accurate. We at DNA Forensics Laboratory Pvt. Ltd.